Funny how none of those writers have anything to say about two Democrats who lost their respective governor’s races in 2018. Even though they are both out there telling anyone who will listen that they were cheated out of their rightful victories. Apparently, when the Democrats do it, it’s just fine. Actually, more than fine. It’s the Truth! 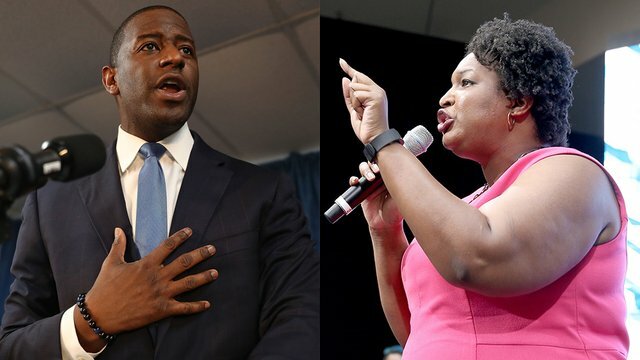 This week, both Andrew Gillum, who lost to Ron DeSantis in Florida, and Stacey Abrams, who lost to Brian Kemp in Georgia, were blaming THE SYSTEM for denying them victory last November. In an interview with Bill Maher on HBO’s “Real Time” on Friday, Gillum said that both he and Abrams had clearly won the most votes in their elections. In comments the day before to ABC News, Abrams was even more explicit. Abrams has still not officially conceded the race to Kemp. And when that integrity is protected, Democrats (for some weird reason) complain. A lot.